We ask why the drone business gets such a bad press? As a company who wants to promote the positive about drones, we scour the daily news to find good stories extolling their virtues and the amazing things they can bring to the world, but here’s the rub – it is easier said than drone (sic) to find anything favourable. 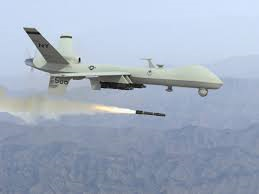 It appears that until recently the word drone, at least when applied to machinery rather than noises or wasps, has been primarily associated with warfare, so this may be the starting point for the negative connection. Surely though, mainstream journalists can distinguish between drones delivering bombs to conflict zones and the likes of humanitarian drones delivering aid to remote corners of the globe, after all some planes are also created to deliver warfare, but the whole aviation industry doesn’t seem to incur so much brouhaha and suffer as a result. So if it’s not a terminology issue, then why is there such an air of negativity around the usage of drones. Most reporting seems to focus on two key issues, invasion of privacy and the potential for enormous collision. In a world where everyone seems to be voyeurs into one another’s lives, using mobile devices to record just about every moment and then obsessively publishing them for all to see, it seems quite ironic and hypocritical for us to complain about the proliferation of drones taking video recordings and the potential resulting invasion of our privacy. Which High Street can you honestly walk down without being recorded time and time again by CCTV cameras? Yet as a whole we don’t complain about this phenomena; in fact there is a strong argument to argue that society as a whole, enjoys the benefits of these recordings being taken, as an extra pair of eyes makes us feel safer. As for the potential for enormous collision and a huge incident, yes of course this exists, but surely it is a matter of flying drones safely. If a drone is flown according to CAA guidelines, then the pilot in its control would not allow it to fly beyond 400 feet in height. Bearing in mind that a passenger plane flies below 400 feet for on average 25-30 seconds at both take-off and landing, it suggests that the potential for such an enormous incident in the sky should be extremely low. That said of course just as not every motor driver restricts their speed to the 70 mph speed limit, not every drone pilot flies consistently below 400 feet and within line of sight, as they should. Although the reporting is somewhat alarmist, as near misses are actually defined as simply sightings of a drone by a pilot, rather than something that may be truly a potential collision, that doesn’t mean that the drone industry shouldn’t take note. Geo-fencing around airports and crowded urban areas is something that we really need to establish and fast. DJI have recently announced their Phantom 4, which has a small element of sense and avoid. This will be the beginning of the revolution to help make people feel that the safety issues of drones being in the skies will somewhat subside. Additionally it would be nice to see future commercial drones being chipped to not allow them to go beyond certain heights, reducing further the potential for huge collision with passenger flights. 12/10/2015 - The Jetsons are here!